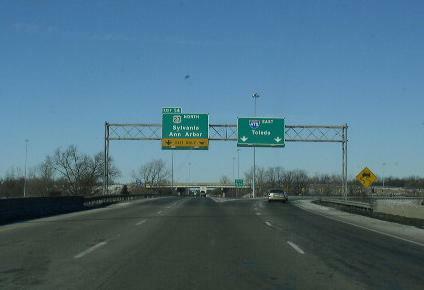 Interstate 475 is the western loop around Toledo. 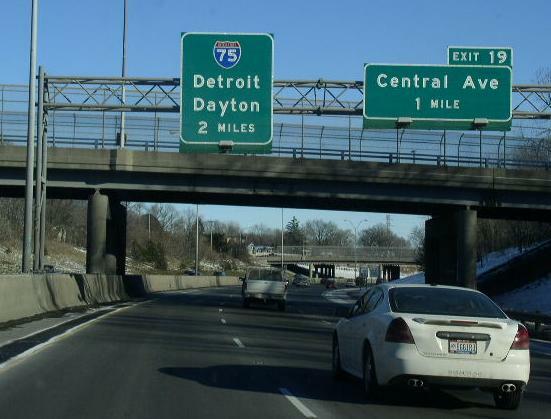 This runs from a junction with Interstate 75 on the southside of the metro at Perrysburg, north to a junction with Interstate 75, northwest of Downtown Toledo. 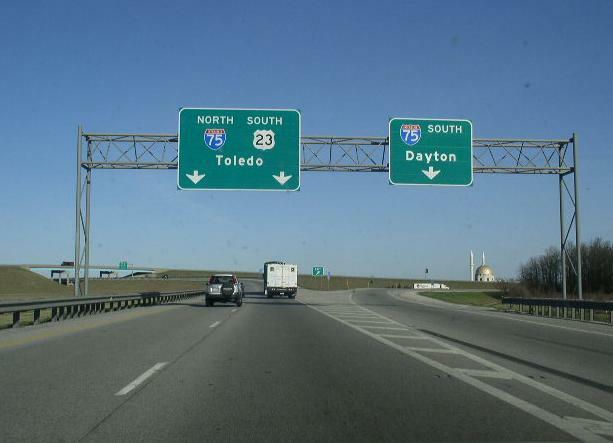 While in Ohio, I-475 is multi-plexed. ...U.S. Rt. 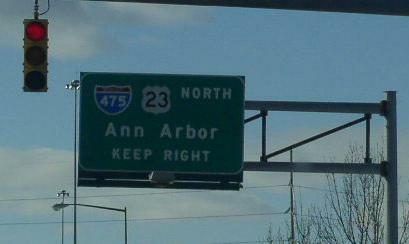 23, from Perrysburg to near Sylvania. 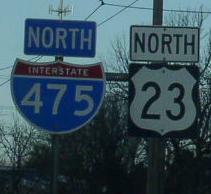 In Ohio, Interstate 475 crosses the following interstates. 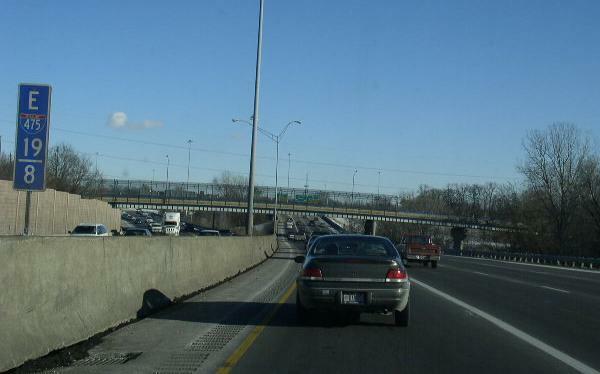 A BGS on SB I-475. 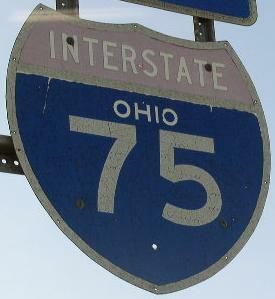 One of the first BGS for I-75 on EB I-475. 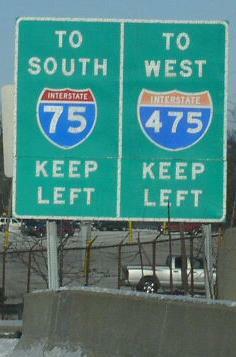 One of the first lane indicators for the interchange with I-75 on EB I-475. 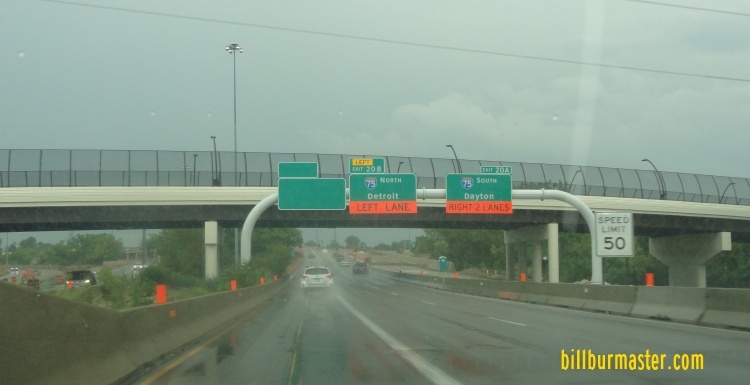 Info on the parent route of I-475. 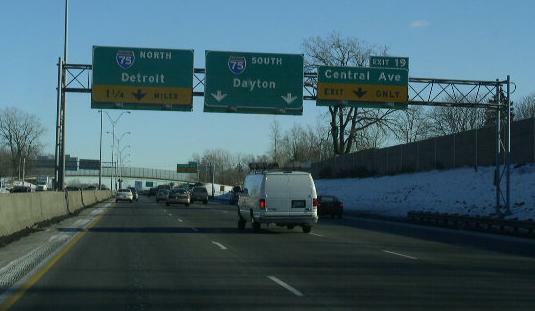 Guide markers on the ramp from EB I-80/90 to U.S. Rt. 20. 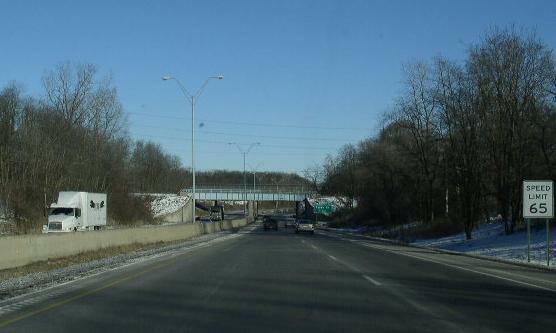 BGS on WB Salisbury Road in Maumee. 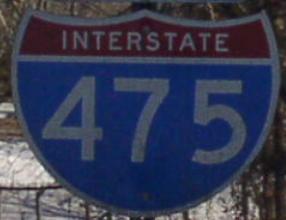 NB I-475 north of OH St Rt 2. 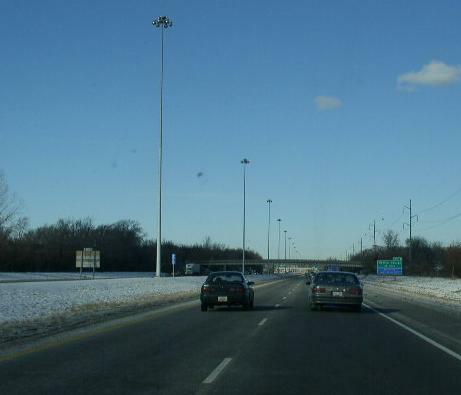 A mile marker on NB I-475. 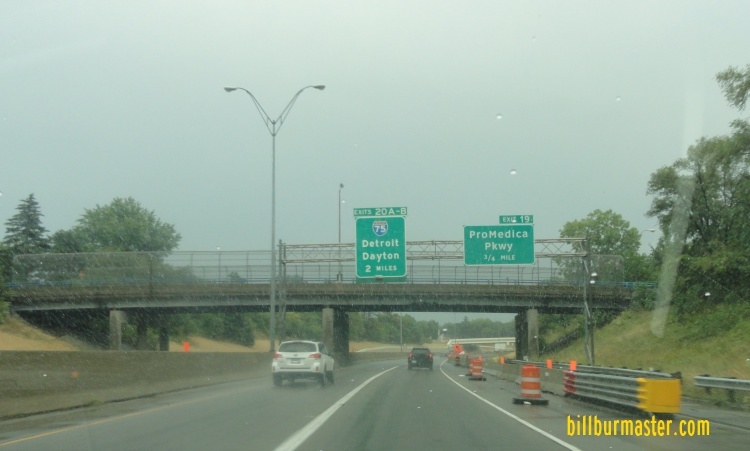 NB I-475/U.S. Rt. 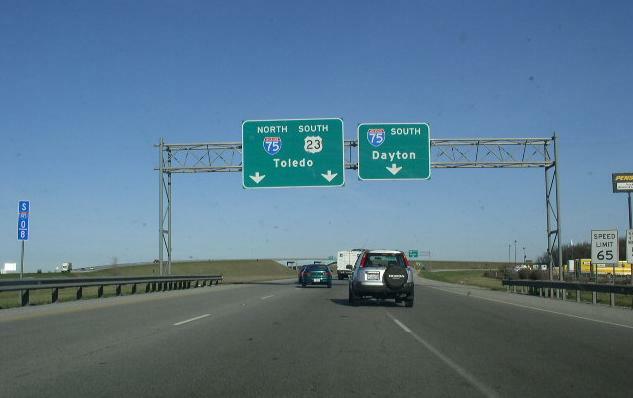 23 near their split on the northwest side of Toledo. 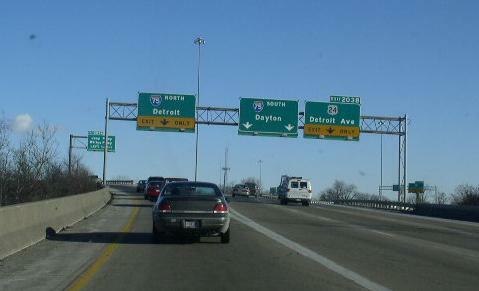 NB I-475/U.S. 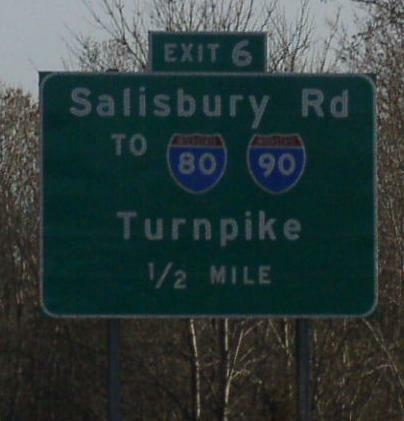 Rt. 23 at their split. 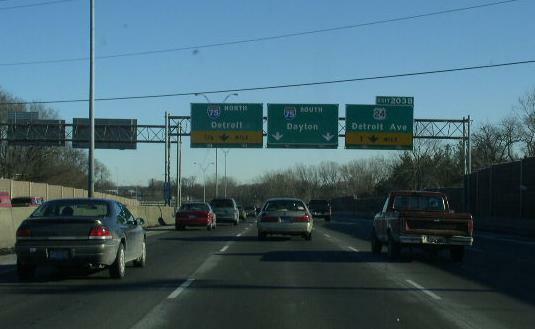 EB I-475, east of the U.S. Rt. 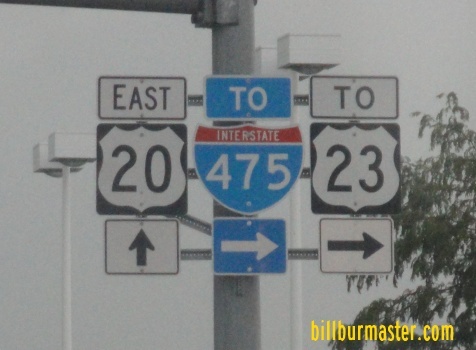 23 interchange. 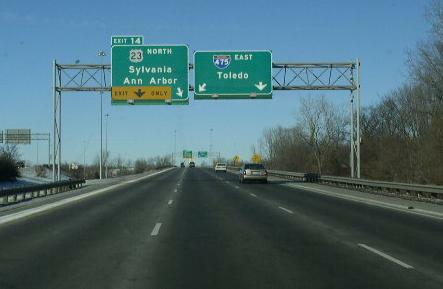 A guide marker on Jeep Parkway in Toledo.